AFC Fylde have signed midfielder Tom McCready on a one-year deal after his release by League Two side Exeter City. The 26-year-old started his career as a youth player with Everton and joined Morecambe in 2014 after a scholarship in the USA with Limestone College. 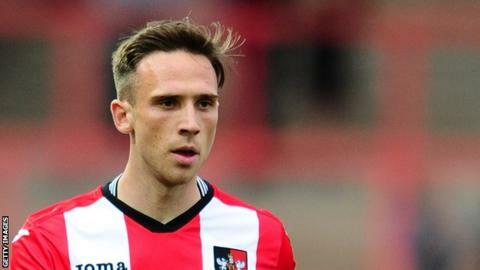 McCready then went on to join Exeter in February 2015 and made 19 appearances during his time with the club. "I already know the lads so that should make it a seamless transition. I just want to get playing now," he said.